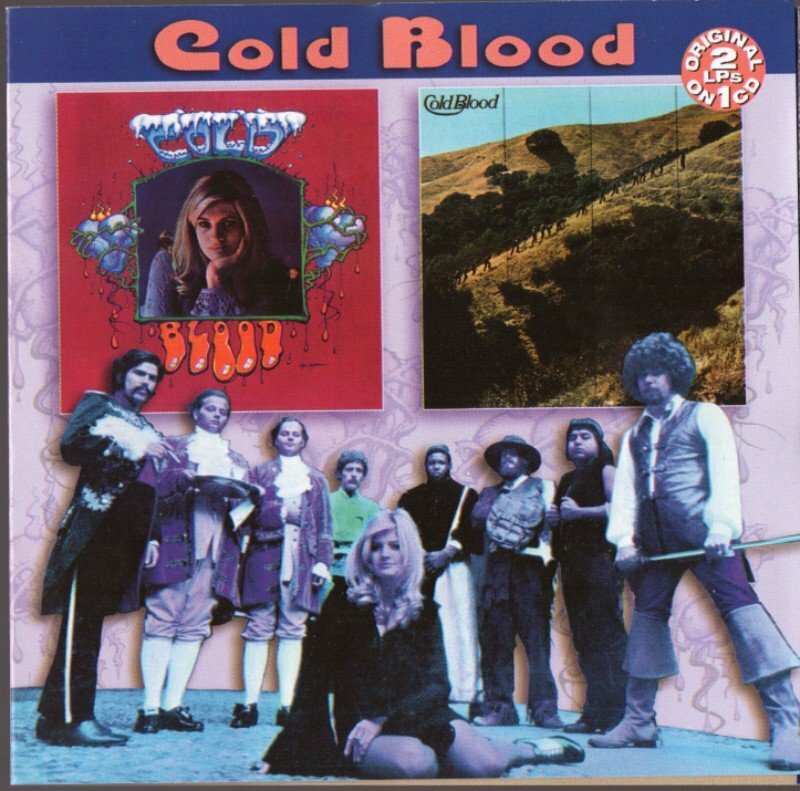 A straight, no-frills-or-bonus-tracks reissue of Cold Blood's first two albums from 1969 and 1971 on one CD, these 13 tracks make a case for the band as one of the better "lost" groups of the late-'60s San Francisco scene. Gutsy-voiced singer Lydia Pense had her Janis Joplin schtick down-pat, and even though the group was fraught with the usual revolving door personnel that a nine-piece is bound to experience, these two albums find them young, hungry, and relatively unscathed by the business dealings that ultimately did them in. Their debut (tracks one through seven) is predominantly comprised of sassy blues and R&B covers injected with their personal groove, while tracks eight through 13 from Sisyphus ply their originals, except for a scorching cover of the Hayes/Porter classic "Your Good Thing" with the young Pointer Sisters on backing vocals. The 2001 remastering is adequate, but the sound, especially on the drums, is a little tinny and compressed. As a combination of Tower of Power's funky horn attack, Big Brother's shambling garage approach, and Chicago's jazz-rock, Cold Blood seemingly had all the correct ingredients, but something was missing. That something was great songs and classy arrangements; so while the group does their best to stamp this music with their unique identity, weak tracks like "I Can't Stay" (where in a fit of misdirected democracy Pense doesn't even sing lead) lie flat. 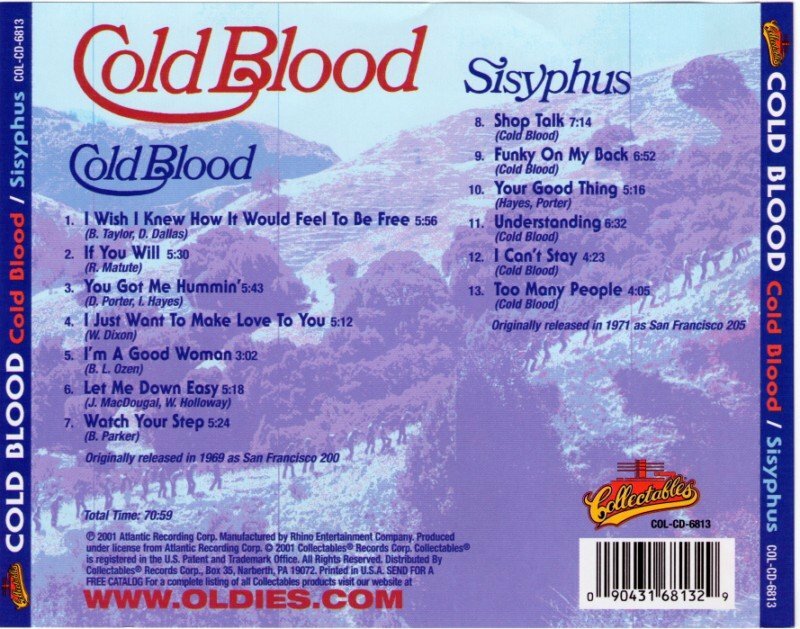 Still, there is enough spontaneous talent and boundless enthusiasm here to show that with a few breaks and better material Cold Blood could have been contenders. As it is the band remains an interesting footnote in music history and this disc, filled with raw energy and a certain primitive idealism, hits enough right notes to be well-worth a listen.